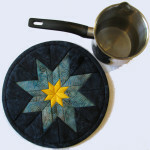 Great for travel gifts this summer: Brand new handmade, insulated, quilted trivets. They are lightweight and lovely and totally useful! What a thoughtful gift. 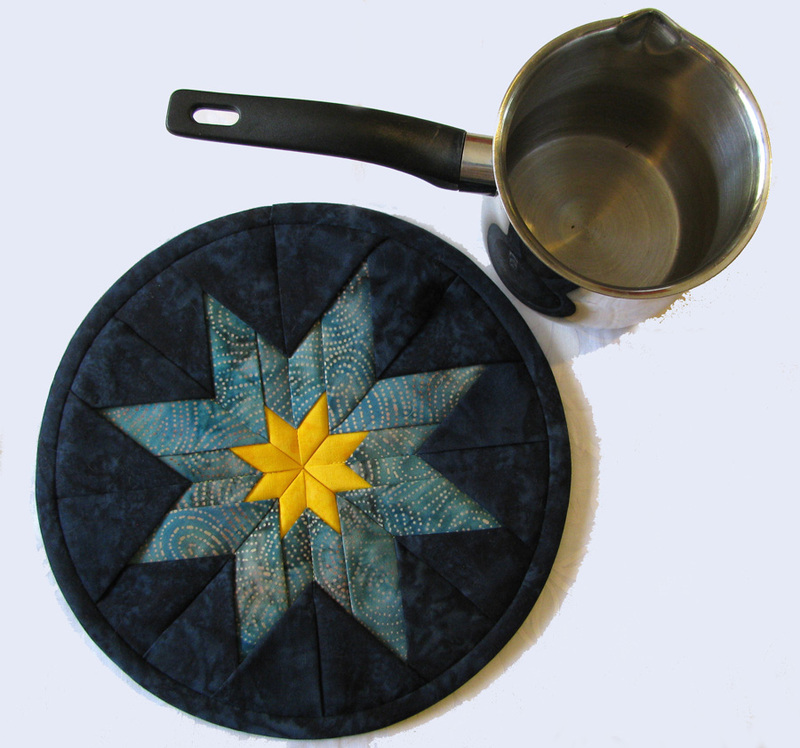 Beautiful star pattern trivet, made with special insulated batting to protect your table and counter top surface from heat and cold. This trivet is a functional and charming addition to your kitchen because it reflects the heat or cold away from your table. Round star design. Made from three beautiful batik cotton fabrics. Matching binding. Fully washable. Lay trivet flat while air drying. Each trivet is sold individually. Makes a lovely wedding gift when bought in matching sets (as shown in 3rd image). This is a sample of a set of trivets I made as a wedding gift. I will customize each piece according to your color specifications. Just let me know your color needs! You can write to me here if you are local or purchase your new trivets via my Etsy shop.